Firstly, What is non-protocol communication? It is a communication method that used to exchange the data between printer,bar code reader..Etc. Because the CPU that i am using here is FX5U, only GXWorks3 is available. *Be honestly, GXWorks3 is not a good item…. ;)!Shut Up!! 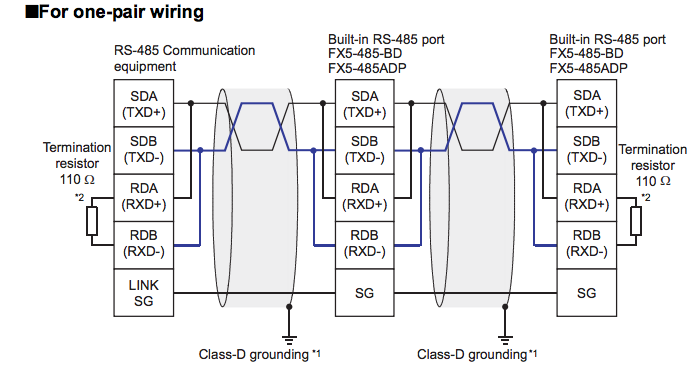 In RS485 there are One-pair wiring and Two pair wiring, and in this application, the devices is only support one-pair wiring. *the wiring will effect the Termination resistor setting and communication setting inside the GXWorks project, I will explain these stuffs on the below. For One-Pair wiring, please push theTermination resistor selector switch to 110 ohm. For Two-Pair wiring, please push theTermination resistor selector switch to 330 ohm. I will not explain so much on what is Data Length,Parity Bit…Something like this, please check inside the Wiki or MR Google ;). OK! 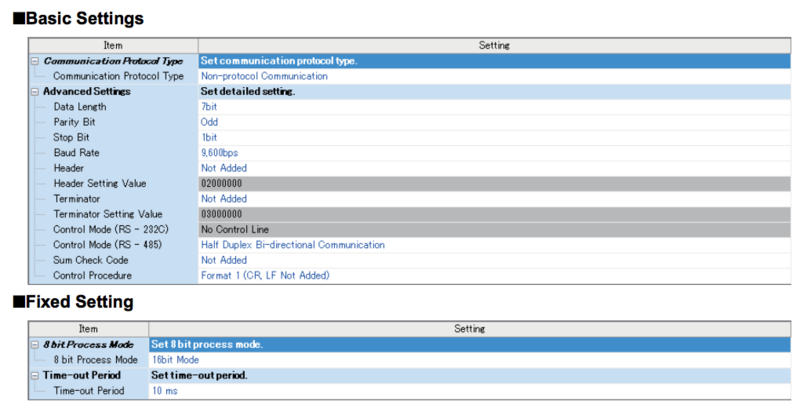 Now is the time to explain how to make a PLC program that can use non-protocol communication to exchange the data between other devices. Instruction “RS2” is the main in here. 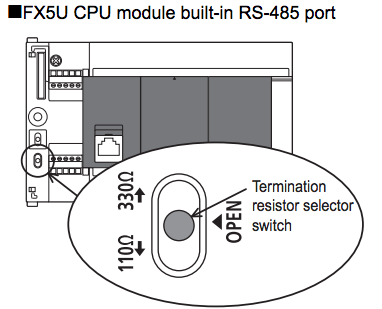 adapter connected to the CPU module or using the built-in RS-485 port to the CPU module. I hope that i will have time to write the program in Ladder and ST both 😉 i wish.. In the Manual there are so many devices that can get the error code of communications, settings, ABCDEFG.. But in here I will Only show the devices that is the main heart to run the program. SM8562:The Flag will auto reset while the sending action is finished. The Flag that will turn on while all the data is received.It is auto turn on and you must reset it in program. Now is the time to start programming it! Here is a basic Example that coding by ST Language with some comment. //While the PLC Sent 'ID05SET'(ASCII Code) to RS485 Interface devices. //The Interface will return 'ID05SETOK' in the OK Condition. //Always Exchange Data Between Other Devices. Thanks and please write the comment if you have any things that would like to discussed;)! 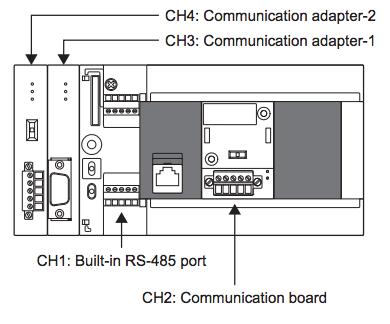 And i will write another one for the RS485-MODBUS communication,CCLink and Ethernet with FX5U. Here is the link to download the operation manual of FX5U. Please check it to get more information.